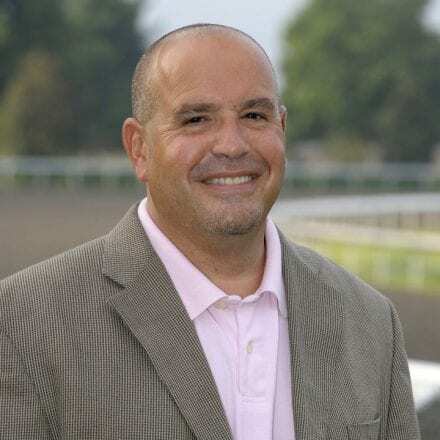 The MATCH Series revs up again on Sunday with two races at Monmouth Park — and trainer Mary Eppler has a chance to put not one but two divisions of the series on virtual lockdown. In the Grade 3 Monmouth Cup, her Page McKenney is the 9-5 favorite, and a win there would give the hard-hitting veteran a nearly-insurmountable 17-point lead in the three-year-old and up long on the dirt division with just two races left to go. Three races later, she’ll send out Oak Bluffs, at 9-2 the second choice, in the $75,000 Wolf Hill Stakes going 5 1/2 furlongs on the turf. Oak Bluffs currently leads the three-year-old and up turf sprint division with 16 points, four more than any other runner, with three races of the division down and two, including Sunday’s, to go. Oak Bluffs, an 8-year-old New Jersey-bred gelding owned and trained by Eppler, is one of 12 entered in the 5 ½-furlong Wolf Hill, the fourth leg of five in the division. He has earned 16 series points based on a third-place finish in the Jim McKay Turf Sprint, a win in the Pennsylvania Governor’s Cup and a sixth in the grade 3 Parx Dash. The Wolf Hill marks the return of Breeze Easy’s Imprimis to the MATCH Series. Trained by Joe Orseno and based at Monmouth, Imprimis won the McKay Turf Sprint and skipped the Governor’s Cup and Parx Dash to target the Canadian grade I Highlander Stakes at Woodbine June 30. Imprimis was in the midst of a rally when he ran into traffic and had to settle for sixth. Imprimis is the 2-1 morning line favorite. Pewter Stable’s Dubini will make his third start in the MATCH division and thus qualify for bonus money. Based at Parx Racing and trained by Kathleen Demasi, Dubini finished second in the Governor’s Cup at Penn National and sixth in the Parx Dash on a “good” turf course. The winner of the Parx Dash, Vision Perfect, took a pass on the Wolf Hill. Colts Neck Stables’ Pool Winner, who fell a nose short of winning the Parx Dash for trainer Alan Goldberg, like Dubini will qualify for bonus money with a start in the Wolf Hill. 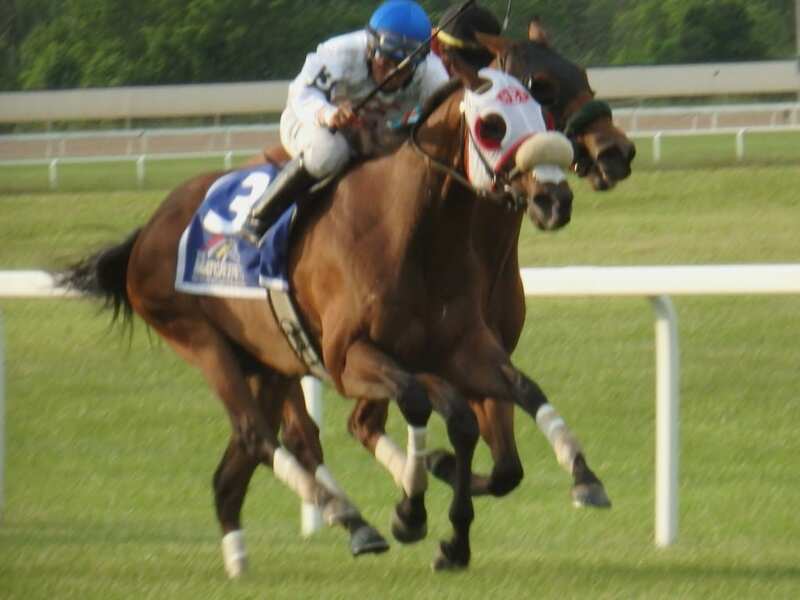 The 6-year-old gelding, one of the most consistent turf sprinters in the Mid-Atlantic region for years, finish third, beaten a length by Oak Bluffs in the Governor’s Cup in his first MATCH Series outing. 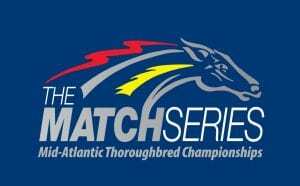 The MATCH Series takes a one-weekend break after Haskell Day before returning to Monmouth for the track’s final race of the series—the $75,000 Incredible Revenge Stakes, fourth leg in the Filly and Mare Sprint—Turf Division. The race is named for the Charles Town-based mare who won 26 races, 16 of them stakes, while dominating the female turf sprint division at various tracks in the Mid-Atlantic region for most of her six-year racing career. On Aug. 12, the series will make its Laurel Park debut with the $75,000 Polynesian Stakes, fourth of five legs in the 3-Year-Old and Up Sprint—Dirt Division currently led by Charles Town-based Lewisfield, a Maryland-bred who never has finished worse than second at Laurel.